Choosing a good Raw Vegan Protein Powder is important. Learn more below! “Vegetables and fruits protect against all types of cancers if consumed in large enough quantities. Hundreds of scientific studies document this. The most prevalent cancers in our societies are plant-food-deficiency diseases.” – Joel Fuhrman, M.D. Wait just one space-aged second! 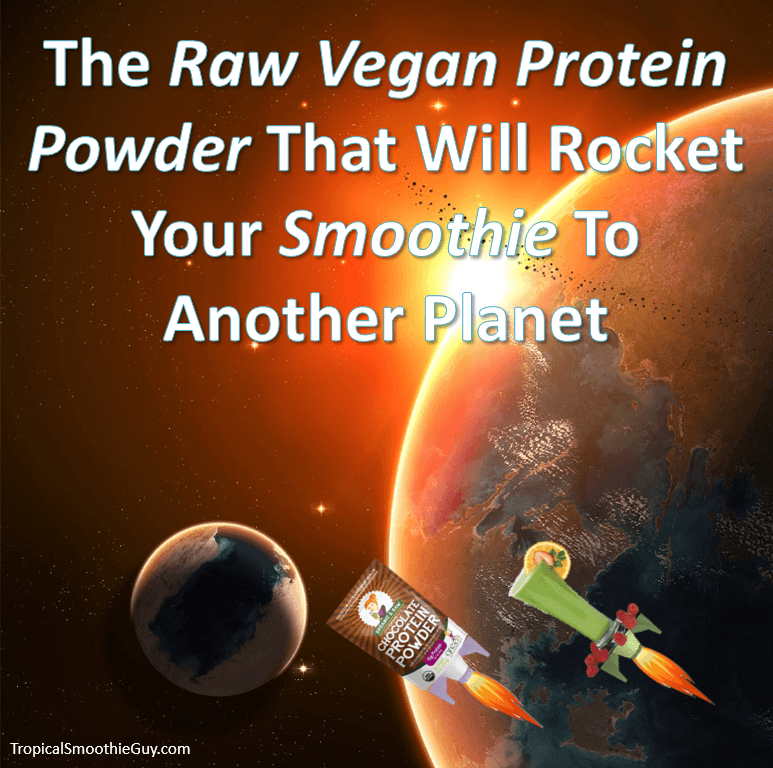 What does this have to do with Raw Vegan Protein Powder? Hang on tight…first we have to understand the problem with the ingredients. Soy is a harmful endocrine disrupter when used in excess and over extended periods of time. This can negatively affect your body’s ability to regulate normal hormonal processes such as metabolism, reproduction, blood pressure, appetite, as well as other bodily functions. Soy is highly subsidized by the government so it can be produced and sold very cheaply by manufacturers. Yes, it is high in protein (which is good), but even if the soy is organic, it still is an endocrine disrupter and can negatively affect your hormones over time. GMOS’s are appropriately named, “Frankenfoods” because the seeds or original plant’s DNA was changed or altered in a lab. Similar to Frankenstein, GMO’s are created with specialized tasks in mind. This could include fighting off a particular insect or fungus, being a certain size or color, or growing quicker than its mommy or daddy. The concern is the effect that this has on your own cell’s DNA over time. The challenge is that it’s hard to do a long term study on a GMO that just came out and hit our food supply (or supplements for that matter). When we alter what nature created on a molecular level, this can have negative reactions in our body since it’s not used to that form of foreign matter from an absorption or utilization standpoint. This could result in our cells attacking the space invader and causing internal inflammation (which is how most chronic pain is created). 3.) The Roof…The Roof…The Roof is on Fire (With Toxic Chemicals)! Most (brown) rice in protein supplements is sourced from China (since it’s cheaper to source and produce). However, the Fukushima disaster caused massive radiation exposure and spewed toxic chemicals into the food supply. This causes heavy metal contamination if this is carried with the trade winds and can negatively affect your toxicity levels when consumed with supplements. What’s even more concerning is the use of herbicides, pesticides, and other toxic chemicals in non-organic food. Would you spray your fruit and vegetables with a household cleaner? So why is okay for companies to do the equivalent with these toxic chemicals on your food? Toxic chemicals are used by corporations (and ultimately) farmers to control animals, insects, fungus, and other pests from destroying crops. Sound good? No pests = no little holes in your lettuce right? The issue comes with the side effects and complications that come with eating plant foods treated with these harmful chemicals. It could be something minor like headaches, aches, and pains or lead to something more severe like potential birth defects, tumors, or even cancer. 1.) Where are you most out of balance? 2.) What if nothing changes? I used to think that using whey was okay and mixing in soy was cool too. However, I didn’t realize how processed whey was and the hormonal effect that soy could have on my body (not to mention toxicity). Many people have said to me, “So what? I’ll eat whatever I want to and if something happens to me then so be it!” I’ve learned that I can’t change anyone’s mind, I can only control my own thoughts, words, and behaviors. With all my previous health issues, I don’t want to be lying on my bed in pain or making unnecessary doctor visits to fix my own lack of discipline and rejection of the truth (because it required too much of a mindset shift). Our nation has never seen such high incidences of obesity, heart attacks, strokes, and cancer compared to 100 years ago. Have you or a loved one been affected by obesity, heart attack, stroke, or cancer? 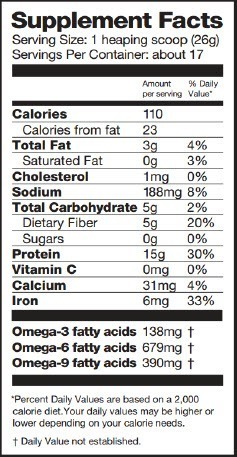 There’s 15 grams of protein per 26 gram scoop. It’s important to keep in mind that the human body can only use about 40 grams of protein per sitting so not over doing it is the key (to avoid throwing money down the toilet). When you mix this in with a tropical smoothie that I show you how to make, you can actually get pretty close to that number without going over. 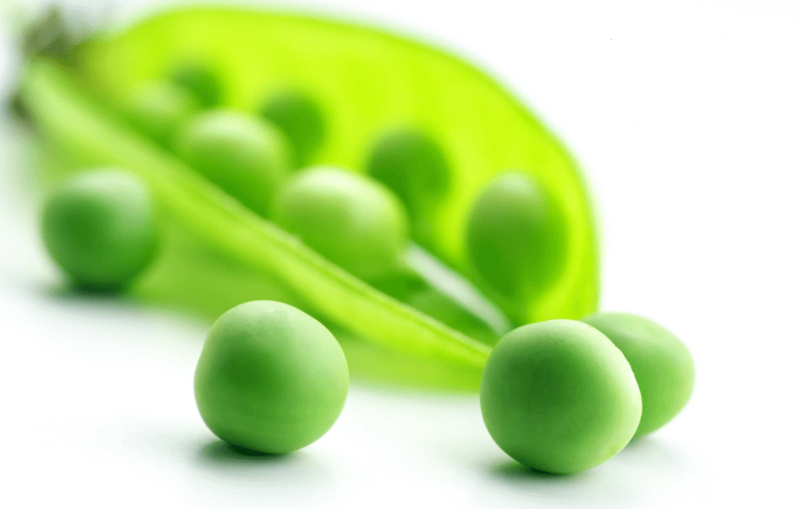 Pea and hemp are minimally processed to retain their “raw” status and the nutritive properties of the original plant. This is great for helping your body digest foods better and absorb more of the vitamins, nutrients, and minerals (as opposed to just eating “mush” and letting it somehow pass through your digestive track). Pea and hemp proteins are easily digested into amino acids and the combination of the two provide an amino acid profile that is ideal for athletic performance (oh snap). Ready, set, go! You want to look for Certified USDA Organic where no pesticides, herbicides, or toxic chemicals were used in the making of the product. You don’t want any highly processed animal ingredients (such as whey). 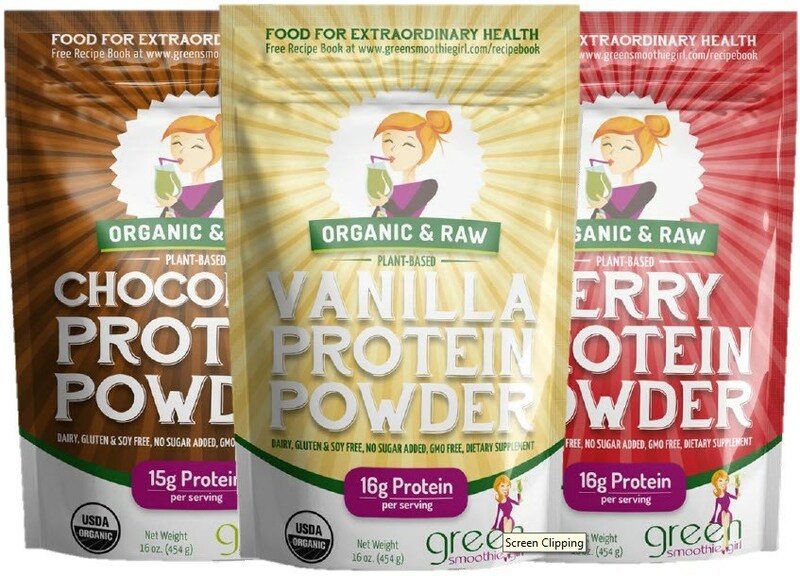 Green Smoothie Girl protein contains the superfood maca for energy, whole plant foods only, and is lightly sweetened with all natural and zero calorie stevia. This protein powder is one of the best tasting and highest nutrition products on the market. It has a rich and creamy texture that is great for blending. It’s best to try in a smoothie first before just mixing in plain water for maximum taste. Plus there’s 3 different flavors to keep your taste buds more excited than a kid on Christmas. They come in Vanilla, Chocolate, and Berry flavas. I prefer chocolate only because I’m a recovering choc-oholic and need to get a fix in every so often (okay, everyday). There are no endocrine disrupter ingredients that negatively affect your hormones (such as soy). There are no rice proteins (including brown rice). Moreover, the Green Smoothie Girl protein powder is very high in iron. One scoop provides 6 mg (33% daily value). This is great for women since whenever there’s loss of blood each month a lot of iron is lost too. Iron helps regulate body temperature as well as aid in other body processes too. I’ve went from 185 lbs to 150 lbs in 6 months and have been able to keep the weight off for more than a year. This was not easy, but is very doable with the proper training, discipline, and loving accountability from others. I have a lot more consistent energy and my digestion has improved significantly. I don’t have constipation or random diarrhea like I used to have before. Organic, Raw, Vegan, Plant Based, Non-GMO, Protein Powder is a great side kick to your tropical smoothies when it comes to burning fat, building lean muscle, and feeling fuller, longer (to beat off those cravings with a very large stick). There’s also the added benefit of weight loss (due to the low calories of tropical smoothies in general), increased energy (say bye-bye to high caffeine stimulants…I’m all natural baby), and better digestion. The first thing to do is learn more about Tropical Smoothie Nutrition OR buy a bag of this protein powder to try for yourself.